Tory Brennan was born a "Sci-Phile." Besides being the niece of world-famous forensic anthropologist Temperance Brennan, Tory and her science-geek friends have grown up exploring the backwoods marshlands of Loggerhead Island, home to the mysterious and very off-limits -- Loggerhead Research Institute. Fortunately, Tory and her friends aren't afraid of breaking a few rules. And when they discover a captive wolf dog pup being held in the institute for testing, they hatch a plot to bust him out. But freeing the pup means unleashing the unexpected: a contagious, experimental strain of canine parvovirus that infects all four SciPhiles almost instantly, altering their DNA forever. 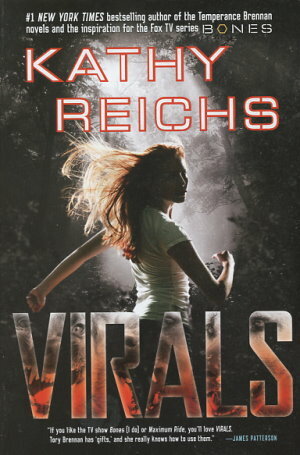 With heightened senses and animal-quick reflexes, the Virals are dangerous to the core. But are they unstoppable enough to solve a cold-blooded murder especially when the killer's caught their scent?